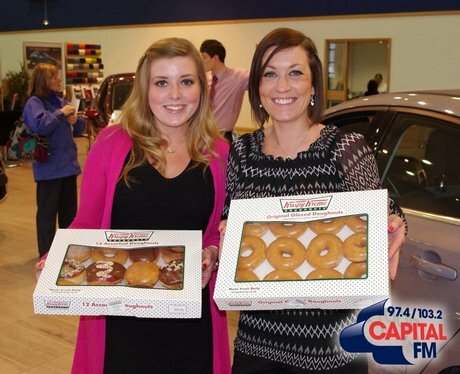 Happy Cardiff workmates from Fordthorne with their Krispy Kremes from Capital FM! Happy workmates from Laguna Health Spa with their Krispy Kremes from Capital FM! Happy workmates from David Lloyd Health Club with their Krispy Kremes from Capital FM! Happy workmates from Newport University with their Krispy Kremes from Capital FM! Happy workmates from Media Wales with their Krispy Kremes from Capital FM!